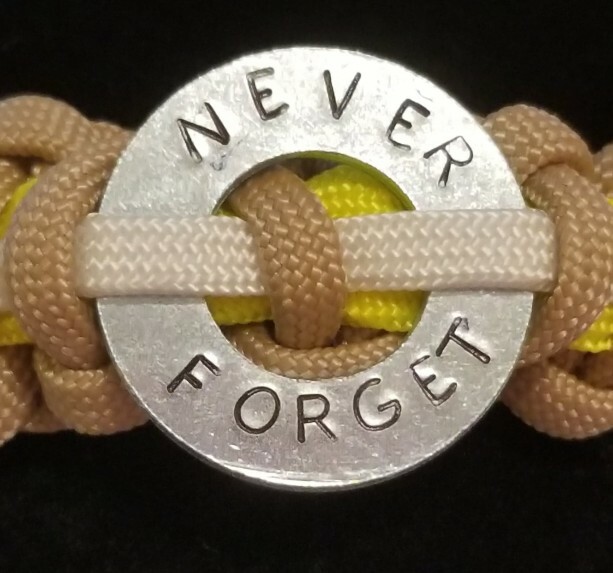 Proudly we showcase this Remembrance Exclusive Edition found only here with the customized engraved pendant at center in honor of all the First Responders who gave their lives on 9/11/2001. 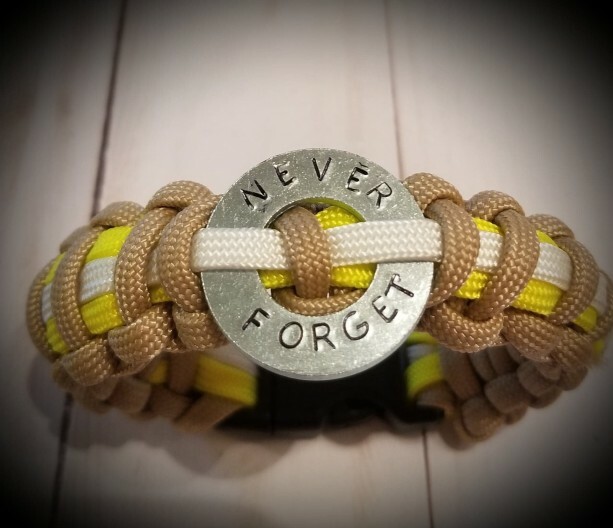 ***20% of all sales for this specific bracelet will be donated to charity (prior to tax, shipping and listing fees) that directly gives back to families of those affected in the field. 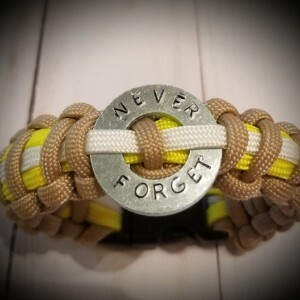 The National Fallen Firefighters Foundation will be the charity for this bracelet - receiving 20% of sales * from Gigawad LLC for this product on annual basis. Please read about our Mission to Help and Pledge Pages for more details. 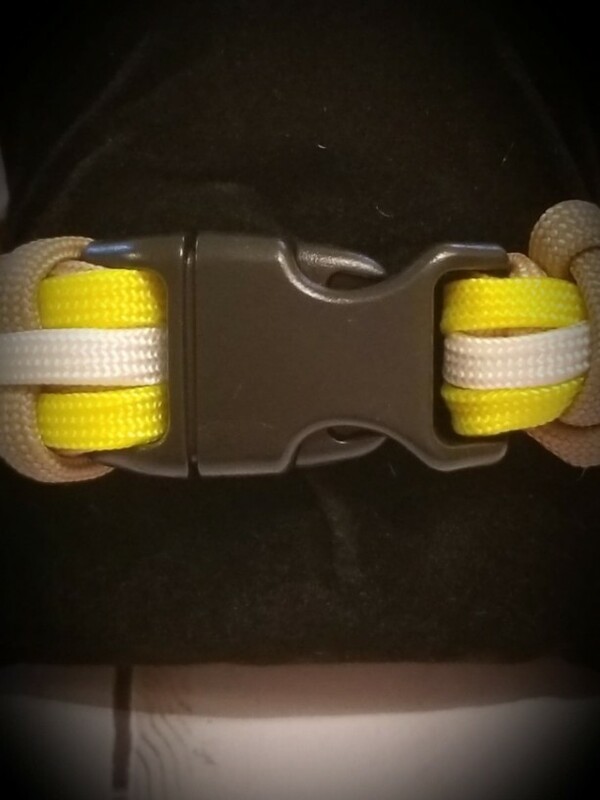 Bracelet Specs: -- The Bracelet is standard with a 5/8" black plastic side-release buckle for ease of use. You can upgrade your closure to one of two other options in the listing if you choose. 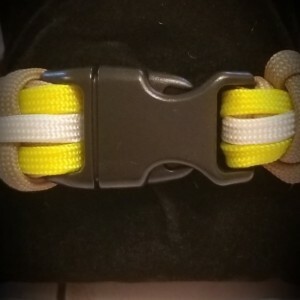 Read our wrist closures article in our Blog post section of our website for more detail. 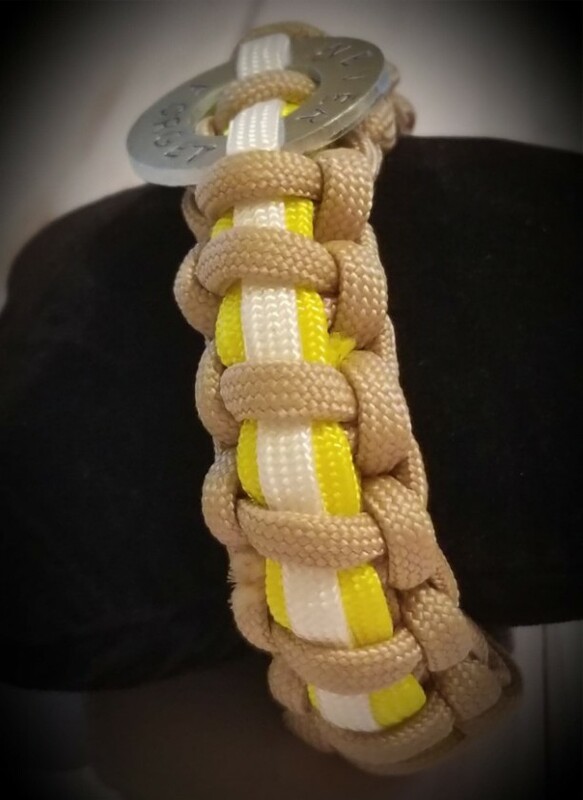 -- The Paracord material is made in the USA. 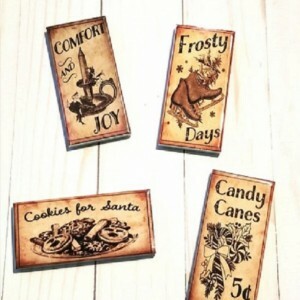 It is composed of 100% Nylon Commercial Type III 550 grade for quality assurance. 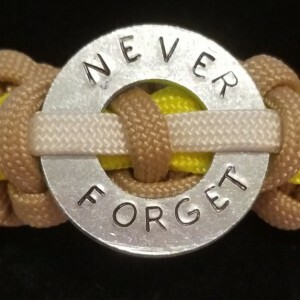 -- The circle plate that is hand stamp engraved with "Never Forget" is made of stainless steel and is 1" circumference and woven into the bracelet -- Each bracelet is handmade in the USA by Teri, co-owner of Gigawad LLC, in the family shop in New Jersey. 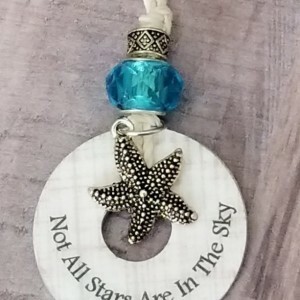 Side Note: If you find you are in between two wrist sizes, it is always recommended to go with the larger dimension of your wrist for comfort ability. To measure your wrist size - Use a tape measure or string or piece of paper. 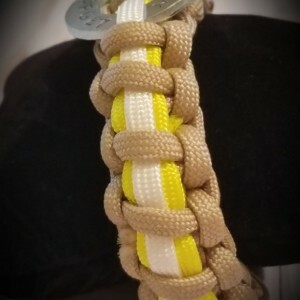 Wrap around the wrist on which you plan to wear your paracord bracelet - add an additional 1/2 inch for ease of comfort. 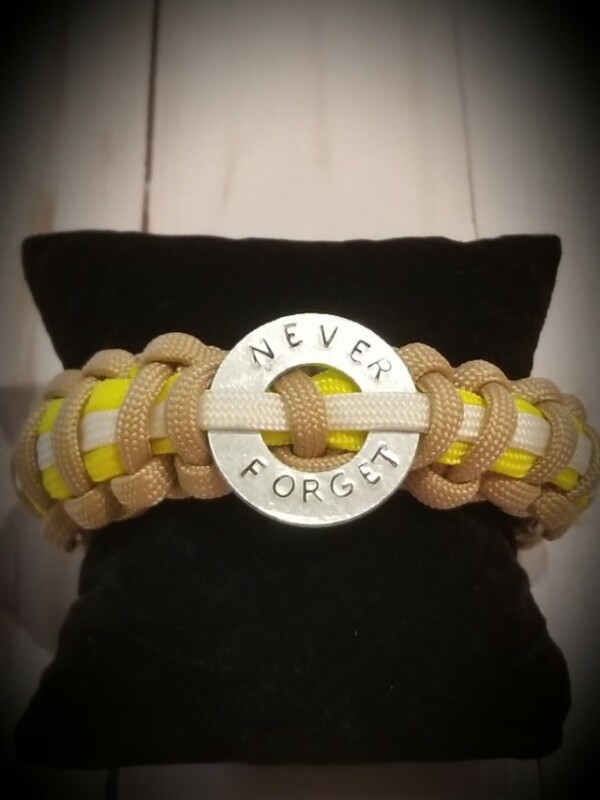 Help us in remembrance of those who selflessly gave for others! 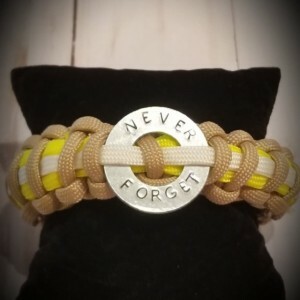 Browse our other products in this category to see additional ways you can also give back to the National Fallen Firefighter Foundation through our company!